At Water Heaters Only, Inc we love customer feedback. We have over 4,500 online reviews and continually encourage customer feedback. 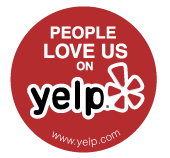 Follow the directions below leave us a 5 star review, but if you are not completely satisfied with your service experience for any reason we want to know – contact us immediately – call 530-274-3001 X 233. 1. Scroll down to find your local area. 2. Click the picture link for the online review website you prefer. The link will take you to our listing where you can leave a review. To leave a you will need an account or gmail. 3. Sign in to your account for the online review website you choose. If you do not have an account you will have to create one with a user name and password (if you use gmail you can sign into Google with gmail). 4. Select the 5 star rating and then type your review, remember to “submit or post” the review, be sure to include your name, your technicians name and the installation date. Please DO NOT include your personal information such as address, full name or work order number in your review. Click on the picture link below to leave your review. Click on the picture link below for the site you prefer to leave your review on.